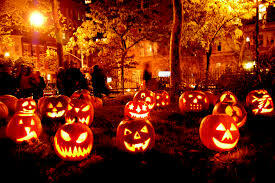 Halloween is a fun celebration for adults and children alike. Costumes, candy, ghosts and goblins—create wonderful excitement for kids. But along with the celebration comes the potential for injuries. If you are planning to trick-or-treat this year, our injury lawyers present these tips to prevent injuries. Look out for drivers. Nighttime trick or treating is fun—but also brings the hazard of pedestrian car collisions. Keep off the travel portions of the roadway–carry a flash light—wear some type of reflective clothing if possible—and keep a tight grip on young children. Costume safety is important. Check to make certain that your child’s costume allows them to see their surroundings. Some masks block too much of their field of vision. Trim loose fitting garments that may drag too low and are a tripping hazard. Adult supervision is mandatory. Don’t let kids venture out alone. Make certain that children are under the watchful eye of an adult. Keep pets indoors. Pets get very excited when the kids arrive at the door screaming and yelling for treats—so keep them in a safe place to prevent bites or injuries. Keep your premises well lit. Inviting trick or treaters onto your property brings added responsibility to make certain they can come and go without hazard. You could be liable for injuries to your guests so take reasonable steps to keep them safe. A good idea is to keep the lights on. Inspect all candy. Whether it is the candy you are handing out or the candy the kids collect—inspect it all! Only purchase or consume packaged candies from trusted brands, and make sure that nothing has surpassed its expiration date. The NH Injury Lawyers at Tenn And Tenn, P.A. wish everyone a safe and Happy Halloween.